and an icon of refinement worldwide. The award-winning wines of VOGA Italia are rich in flavor and full of character. Each wine is a triumphant expression of the famed terroir from which it hails and crafted to deliver the ideal flavor expression. The chic cylindrical and elegant curvaceous bottles are a modern vision of sophisticated cool making VOGA the perfect accessory for the fashion forward. There’s only one Italian word you need to know to get this much style in one bottle and that word is VOGA. Mention Italy and one cannot help but conjure a vision of effortless glamour, it’s no wonder the Made In Italy label is so sought after worldwide. VOGA Italia captures the essence of quintessential Italian style in every bottle. VOGA Italia is a perfect marriage of form and function, from the innovative cork with re-sealable cap closures to VOGA Vodka with its built-in retractable pour spout. Italian style goes hand in hand with a long tradition of craftsmanship. Each product in the VOGA collection has been meticulously crafted and tailor made to capture the best of Italy in every sip. Crafted with water from the springs of Monte Rosa high in the Italian Alps, superb wheat which Italy is famous for and filtered through Nebbiolo grapes, the grape which makes Barolo, the king of Italian wines, VOGA Vodka has a unique flavor and unparalleled smoothness that is meant to be experienced “Solo”. 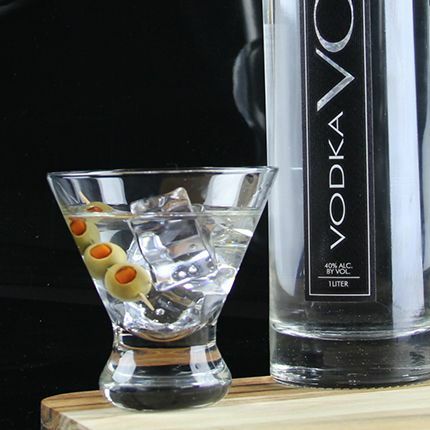 Simply serve VOGA Vodka neat, straight up or on the rocks and add an olive garnish for an elegant presentation. The VOGA Solo is the signature way to Drink IN Style.